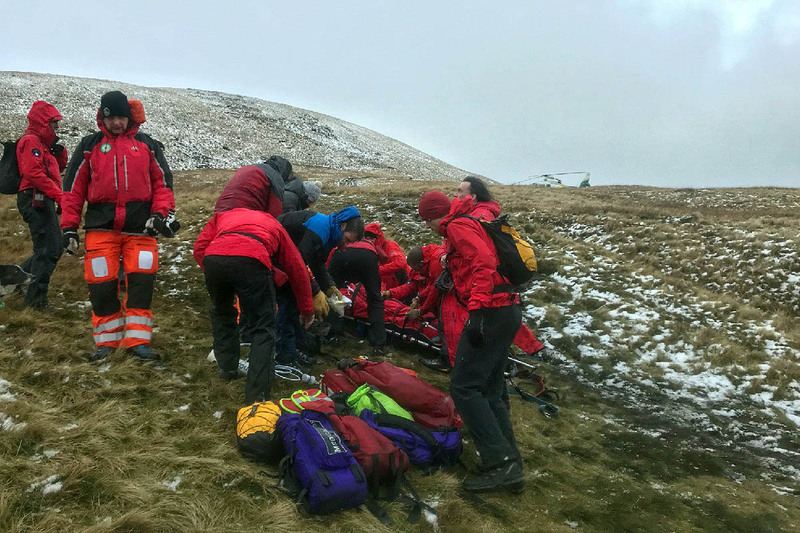 An injured walker was airlifted from a Lake District fell after she slipped in wintry conditions. The 35-year-old was on Blease Fell on Blencathra with a companion on Sunday when she suffered a serious ankle injury when she slipped on wet grass. Keswick Mountain Rescue Team was alerted shortly after 2pm and its members were mobile within 15 minutes, aiming to reach the walker from the Blencathra Centre. A team spokesperson said: “At the same time, control made enquiries as to the availability of air support, given the serious nature of the injury and the danger of hypothermia in the winter conditions. “The patient was given analgesia and packaged into a casualty bag and shortly after, ambulance control confirmed the tasking of the Great North Air Ambulance. The team thanked the air ambulance crew for their swift response. The rescue lasted almost two hours and involved 17 volunteers from Keswick MRT.